It’s that time of year again when we ask listeners to help support the distinct content broadcast 24/7/365 by WHUS. Donations to WHUS will support our station projects, which currently include the construction of a training studio and the continued digitization of our physical music collection. To support WHUS, call 1-800-599-WHUS, 1-800-599-9487. For a $100 minimum pledge, we’ll send you an official and exclusive WHUS 100% Cotton T-Shirt, a WHUS Full-Zip Hoodie Sweatshirt, a CamelBak 20oz Water Bottle featuring the new WHUS logo, and a WHUS branded 4GB Flash Drive. 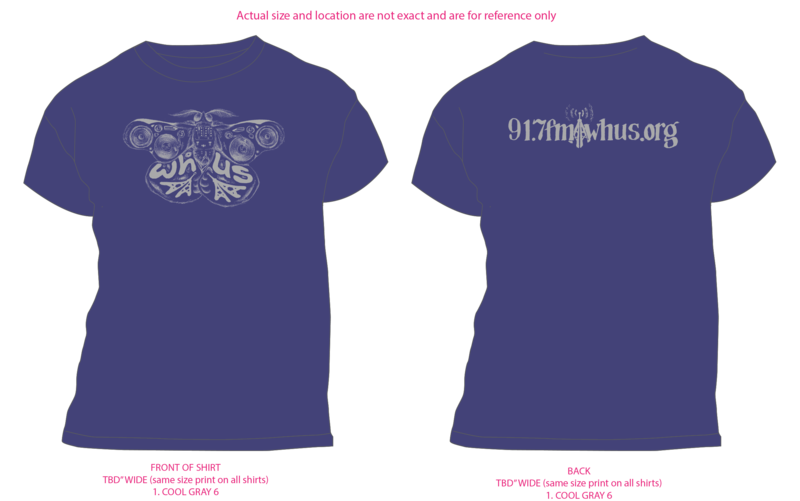 For a $75 minimum pledge, we’ll send you an official and exclusive 2014 Radiothon T-Shirt, a CamelBak water bottle featuring the new WHUS logo, and a WHUS branded 4GB flash drive. 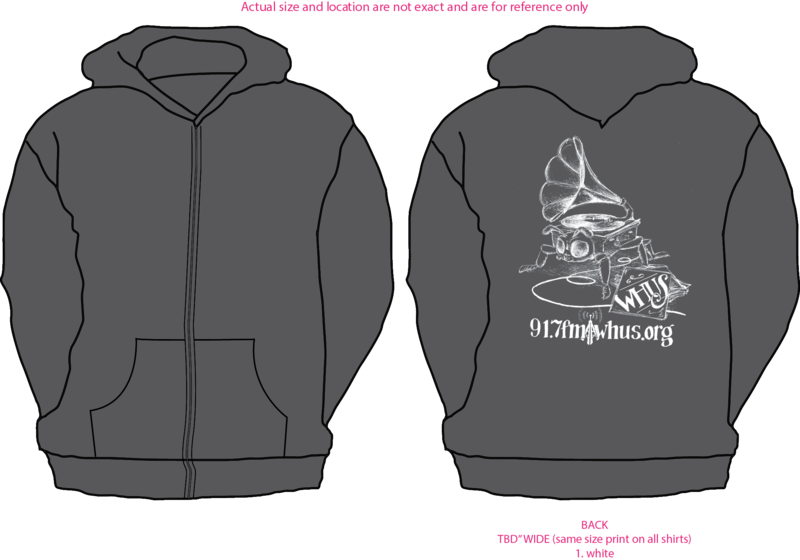 For a $50 minimum pledge, we’ll send you a WHUS Full Zip Hoodie Sweatshirt. For a $45 minimum pledge, we’ll send you a WHUS Camelbak 20oz Water Bottle. For a $35 minimum pledge, we’ll send you an exclusive WHUS 100% Cotton T-Shirt. For a $35 minimum pledge, we’ll send you a CD either of your choice or hand picked by the DJ whose show you pledge to! For a $25 minimum pledge, we’ll send you a WHUS-branded 4GB Flash Drive. 1-800-599-WHUS (9487) is the number to dial to help support WHUS continuing to provide you with the diverse content you know and love! If you want to donate online, you may do so by visiting http://www.whus.org/donate.